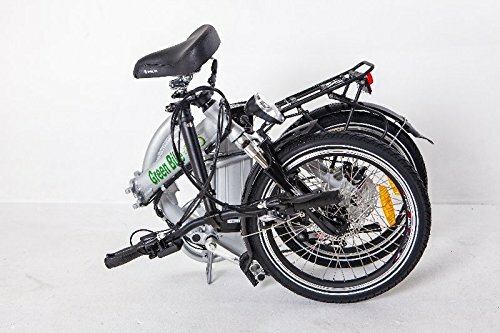 Folding electric bicycles are the new trend now due to their convenience for people who travel a lot and wish to have a bike that can be easily folded and stored in a small place while traveling in different forms of transportation. 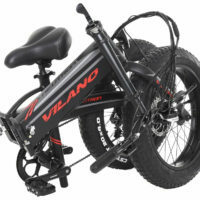 These bikes are really handy when combined with other types of transformation like train, bus, subway, car, taxi, etc. A folding electric bike does exactly what you would expect it to do- it folds in half and takes very small space to store. Folding bikes are extremely easy and comfortable to carry, transport and store. They are very handy if you have very limited space at home or work to store them. 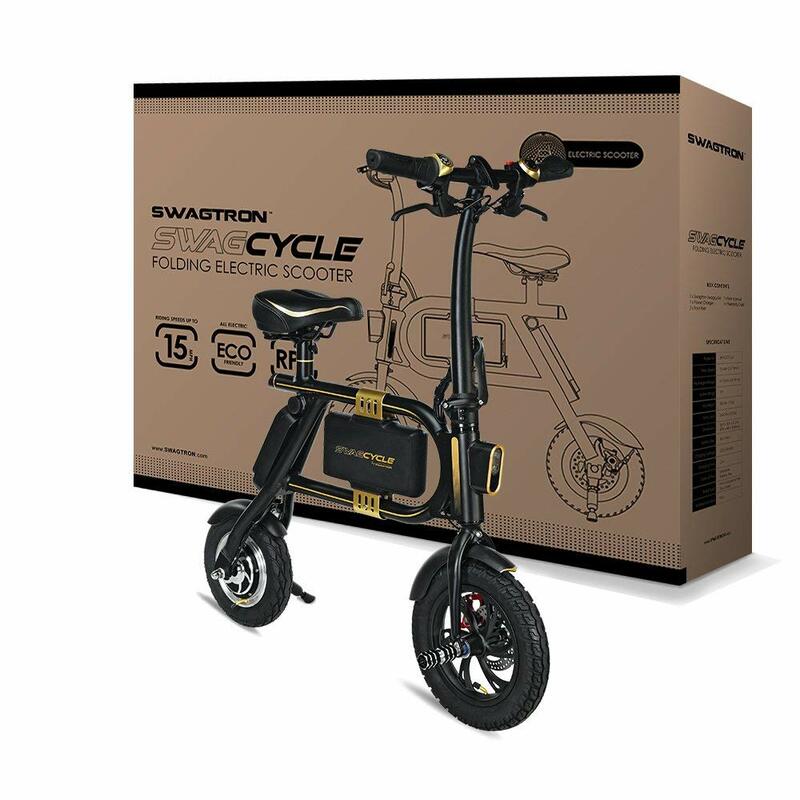 SwagCycle EB-5 Pro is one the best rated cheap Swagtron electric bikes. 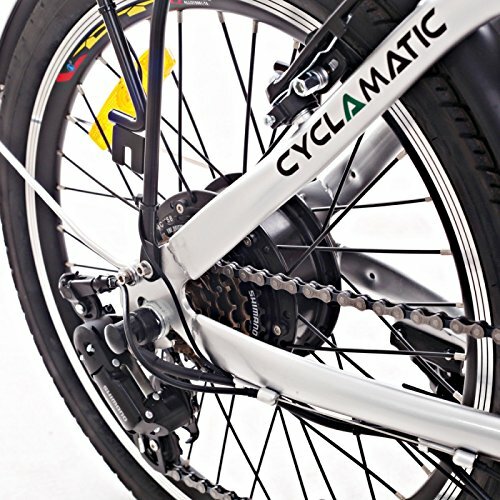 Pedals and “Pedal-to-go” mode is what it makes this model different from classic SwagCycle. 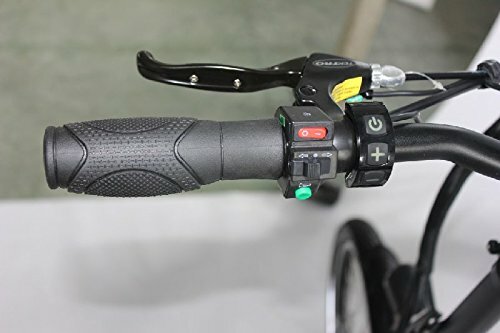 This mode is very similar to “pedal assist” but not completely. 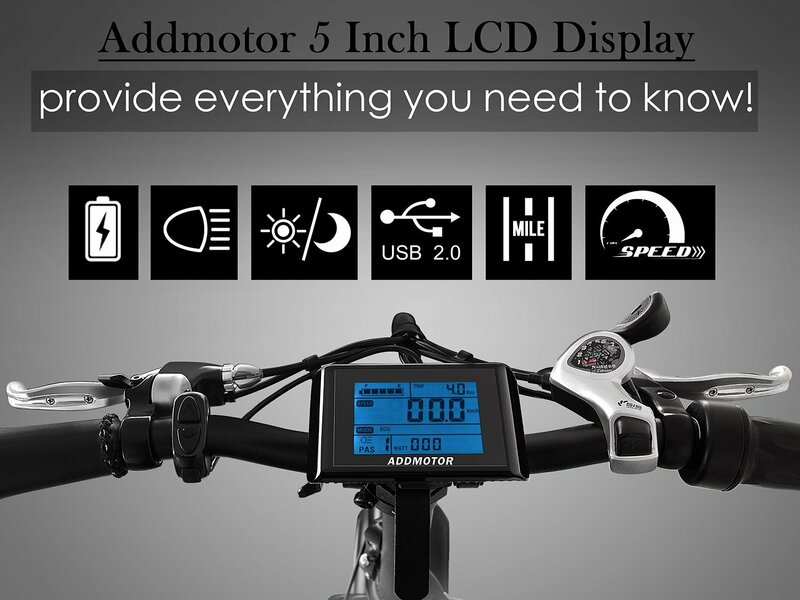 The motor turns on when you start pedalling and turns off when you stop. 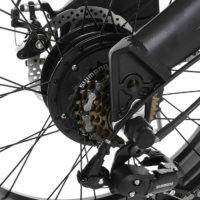 Bike weights only 37lbs, many low-end non-electric bikes have similar weights. 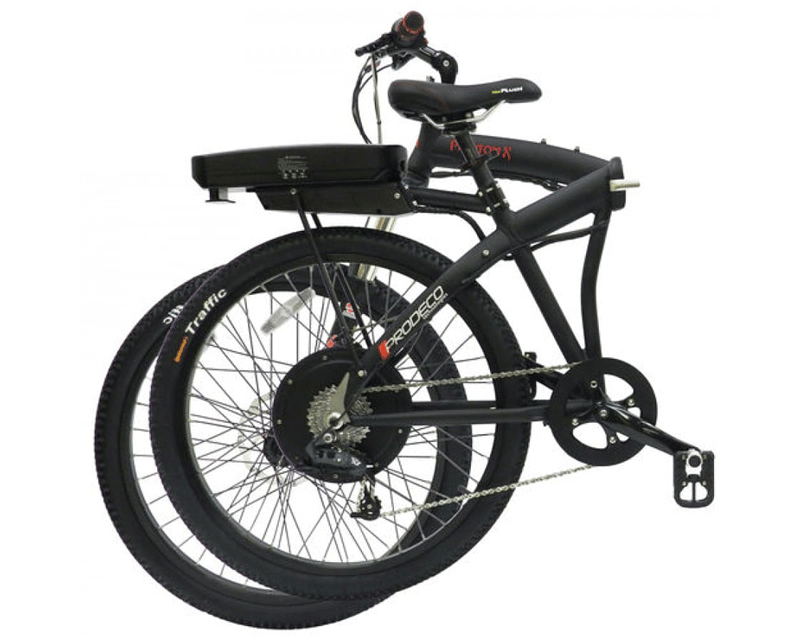 Fully folded bike measures are: 26″ x 23.6″ x 15.6″. It also has a 90-day warranty. 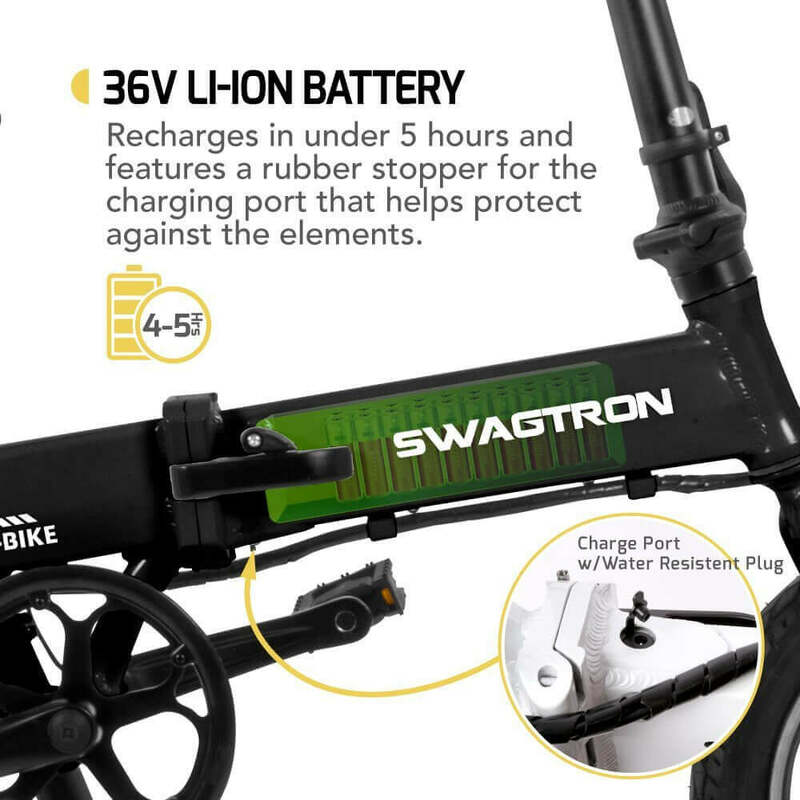 Swagcycle made by Swagtron is one of the cheapest electric bicycles on the market. Swagcycle looks like a compact folding electric bike but actually, it doesn’t have pedals so it’s more like an electric scooter. Many users tested it and were satisfied by its quality and usefulness. 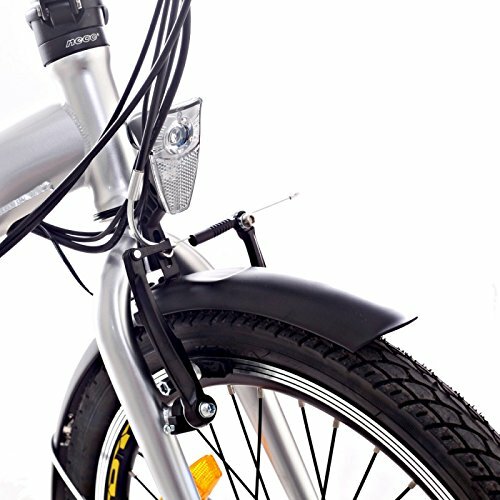 One of the reasons many people choose this e-bike is because it’s only 29lb and has the twist throttle. 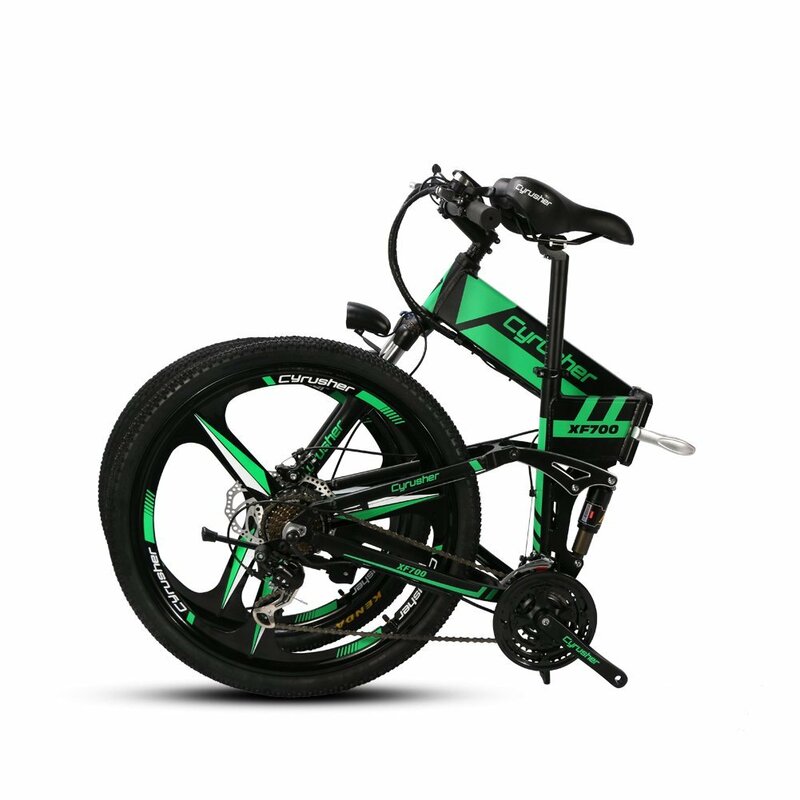 Quite amazing but Swagcycle can carry weight up to 264lbs. 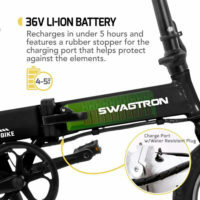 Another good thing that battery recharges in 2.5 hours and Swagtron provides a 1-year warranty. 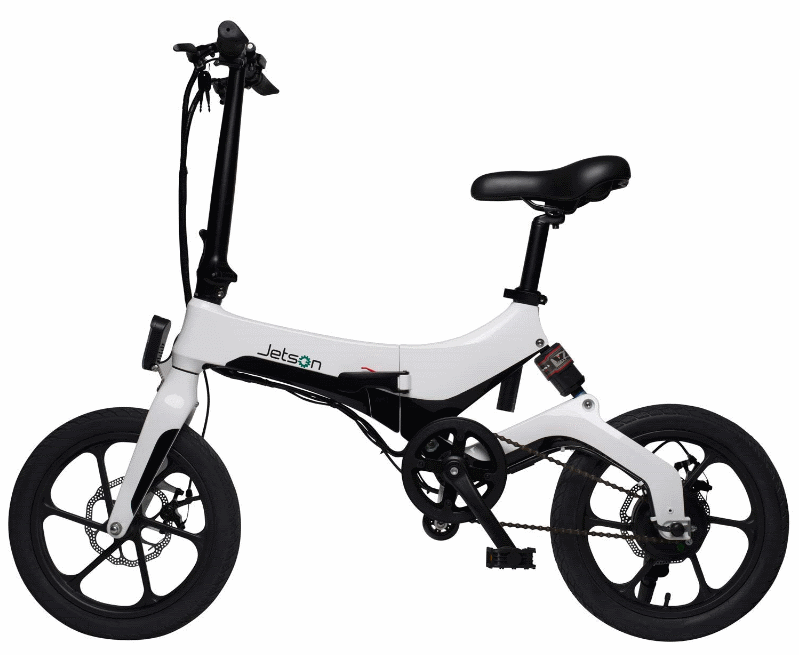 Jetson Metro is one of the best cheap folding e-bikes. 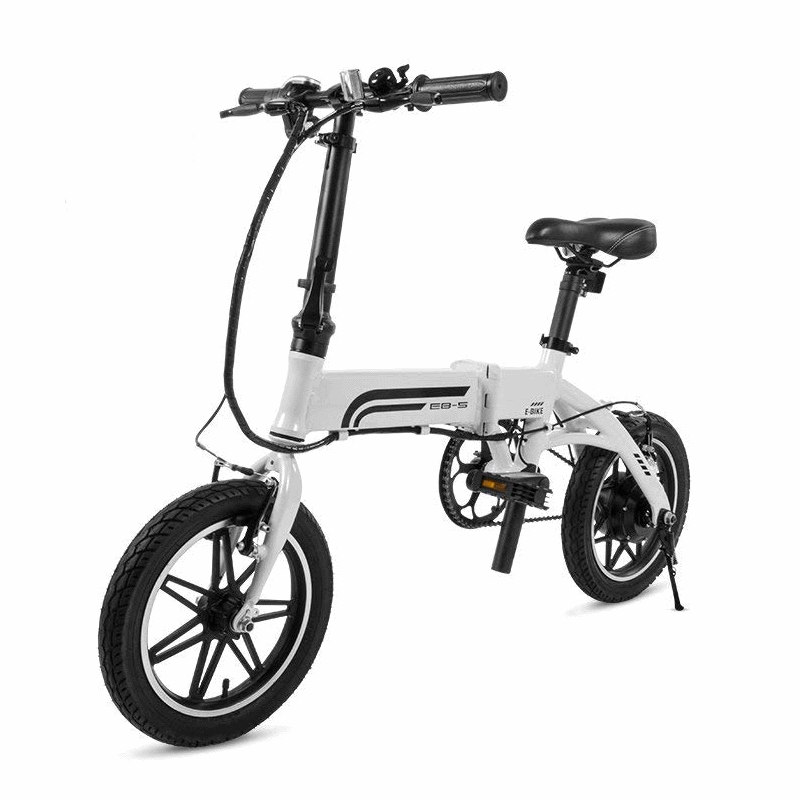 Rear suspension and the foldability features make it an awesome electric bike. 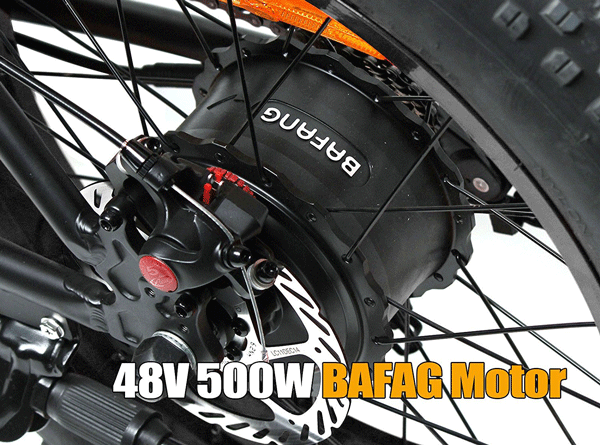 The 250W motor is quite powerful to its size. 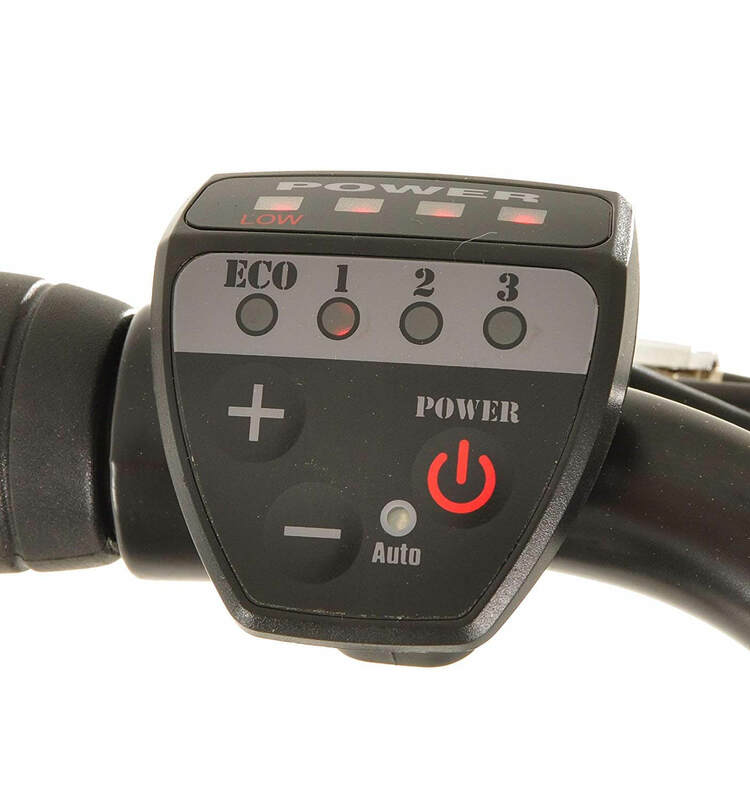 The 3 levels of pedal assist and the twist throttle option give it the extra push whenever you need it. 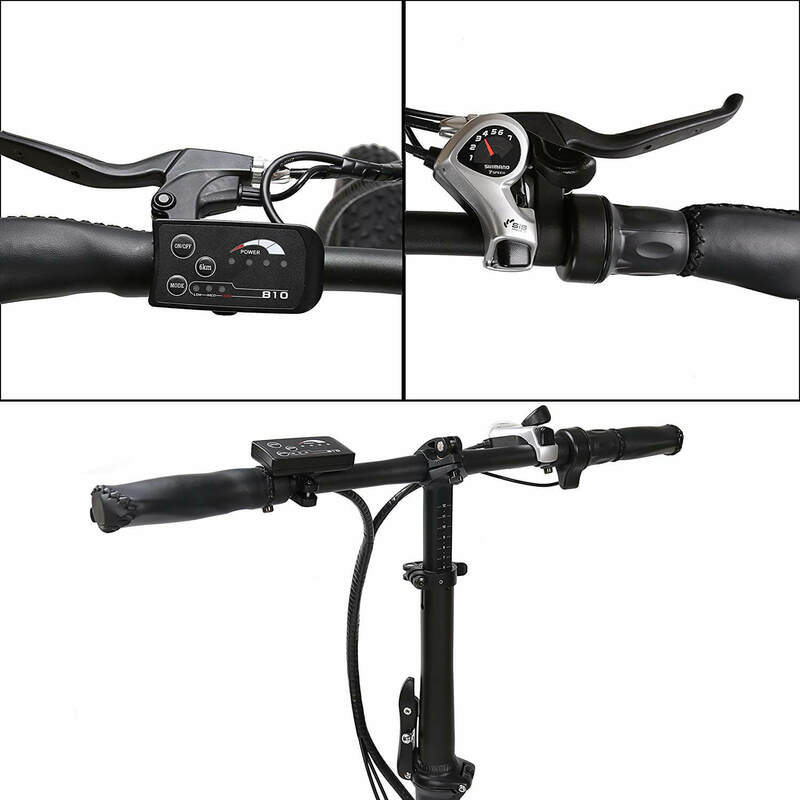 What makes it more reliable is the brilliant LED headlight that is sufficient for riding in the dark. 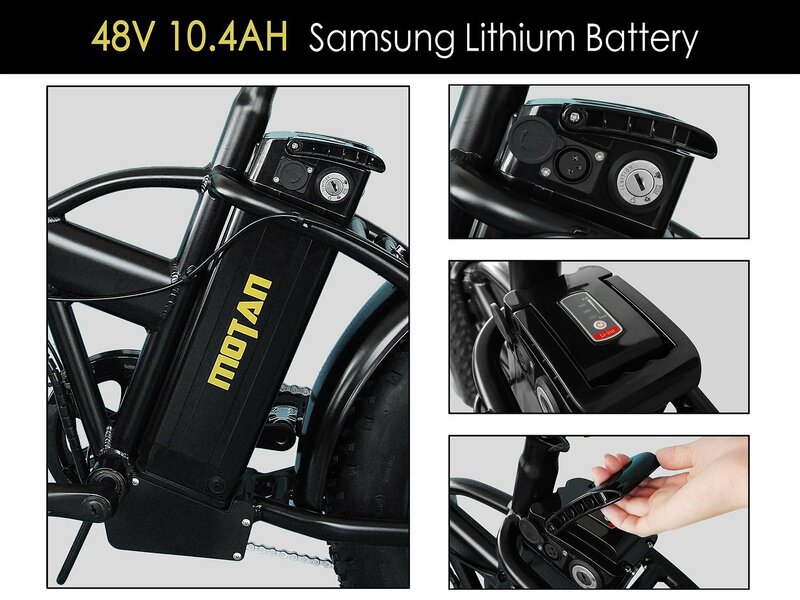 The removable battery located in the center frame can be locked with a key. 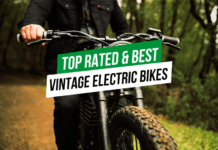 Many buyers are satisfied with Ecotric electric bikes because the price is usually lower than other brands, but quality stays very similar. 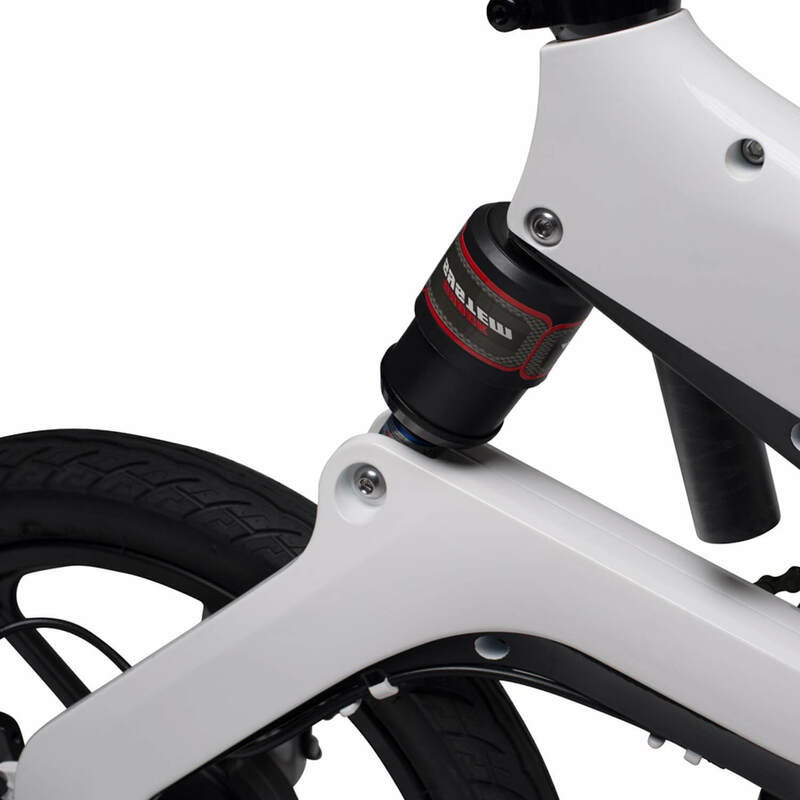 The ability to fold it leaves a 20″ bike small enough for transportation. Fat tires give extra comfort when riding off the road. 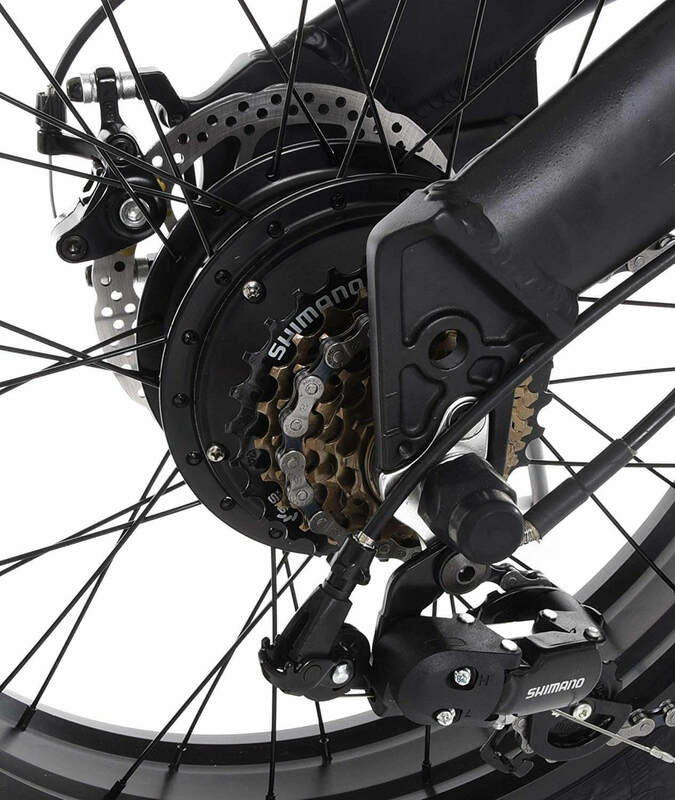 The bike supports up to 220lb rider. The battery should live up to 20 000 miles without a need of replacement. It also has a 2-year warranty. 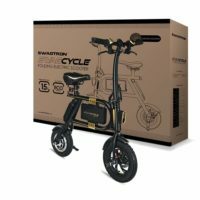 The warranty only applies to the registered owner of the Ecotric ebikes and you cannot transfer the registration to others. 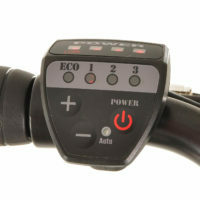 Register your Ecotric electric bike warranty within 30-day period after purchase. 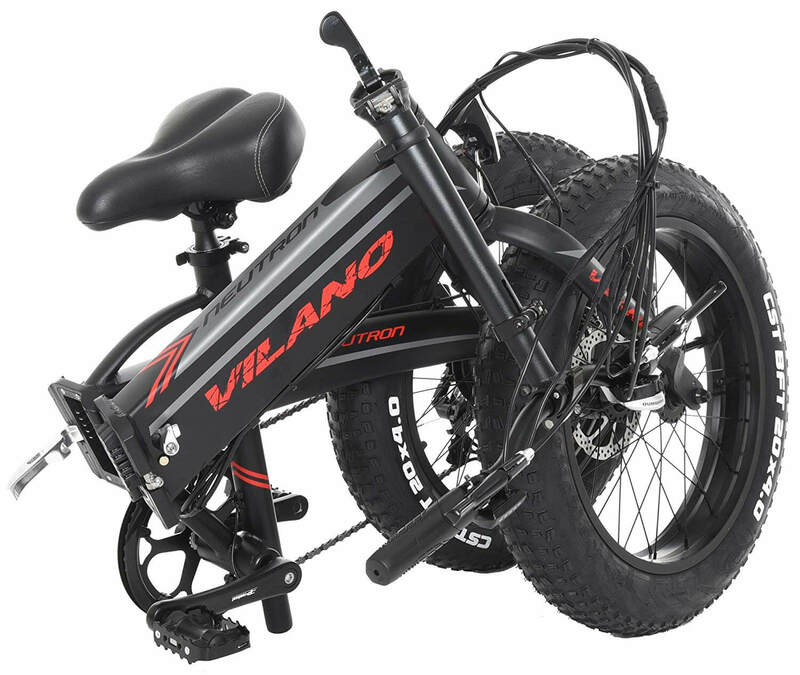 Vilano Neutron e-bike is a good option for people who search for a really cheap foldable electric bike. 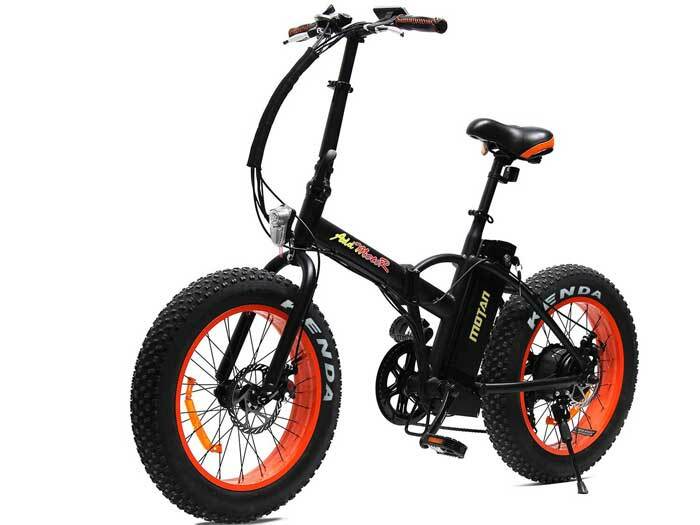 Compare to other fat tire folding e-bikes on the market this one is a winner of the best price and design. 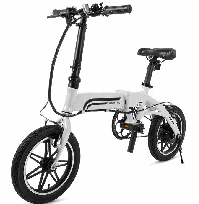 The motor provides enough power for a daily commute or an easy comfortable ride. 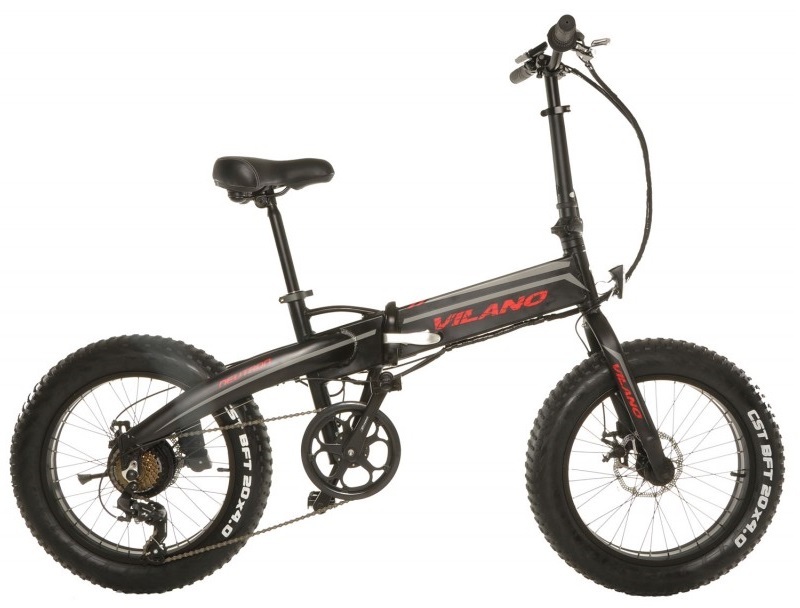 Vilano is an American manufacturer of ebikes founded in 2007. 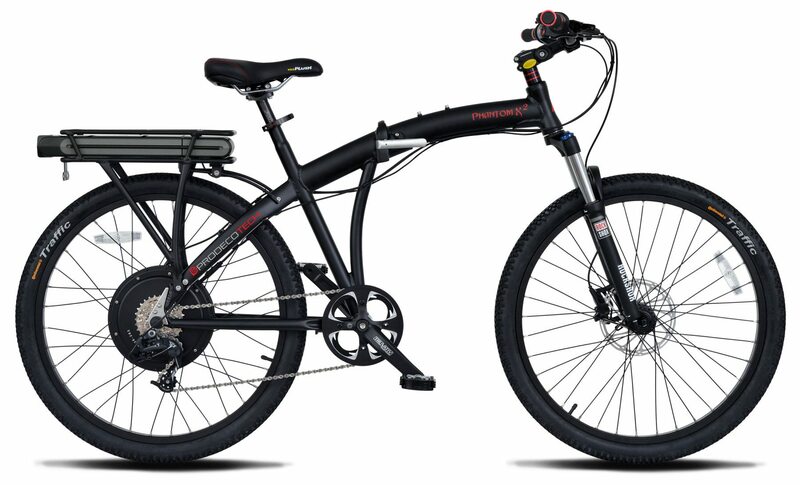 The aggressive design of the frame, the heavy-duty components and the subtle coloring of the bike makes it to stand out among others. It can be easily folded into half and carried around anywhere making it easily portable. 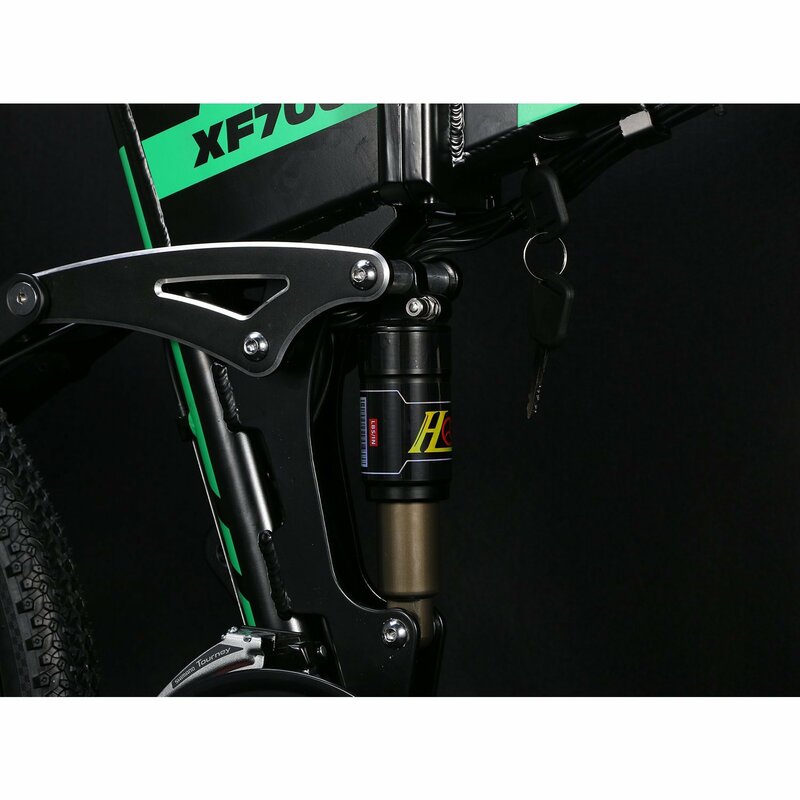 The magnesium front fork will provide shock absorption by way of hydraulic suspension offering you plenty of scope to travel. 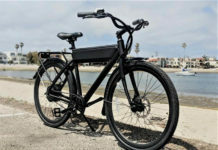 This bike can go up to 30 miles on a single charge. You can take it for long rides to hill without any problem. 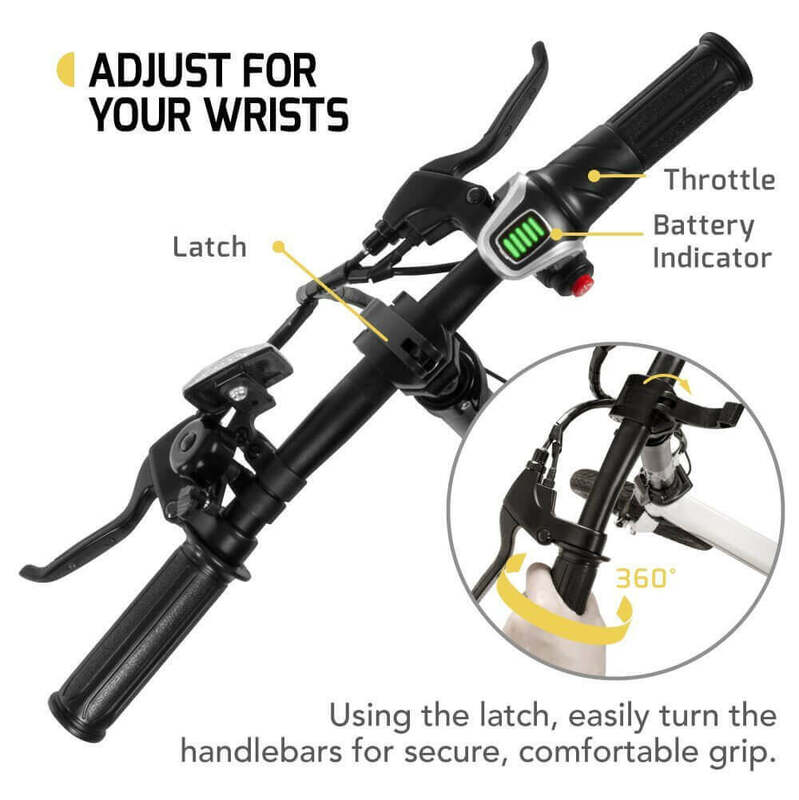 The bike is adjustable according to the height of the riders and is comfortable for both taller and shorter people. 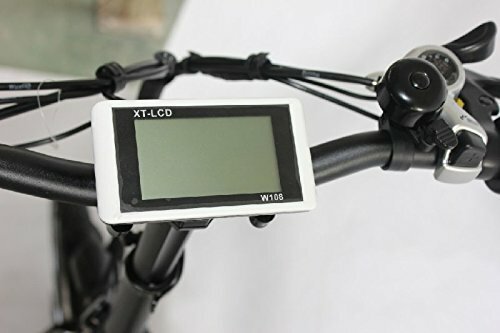 It is a perfect match to its price and component quality and is cost efficient with around $0.05 to run per mile. 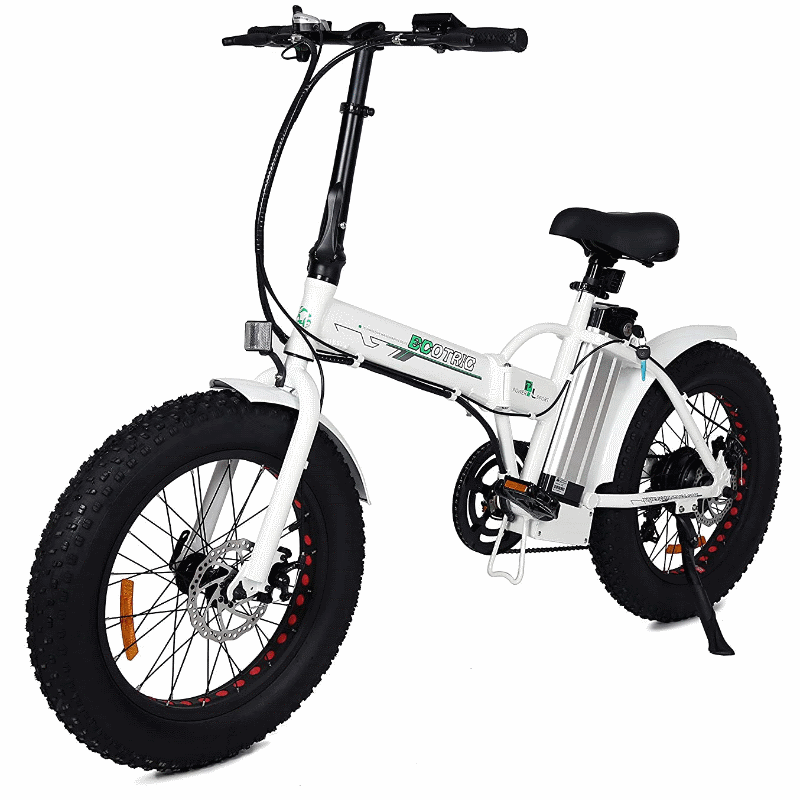 It is an alluring fat bike with an added advantage of being an electric bicycle. 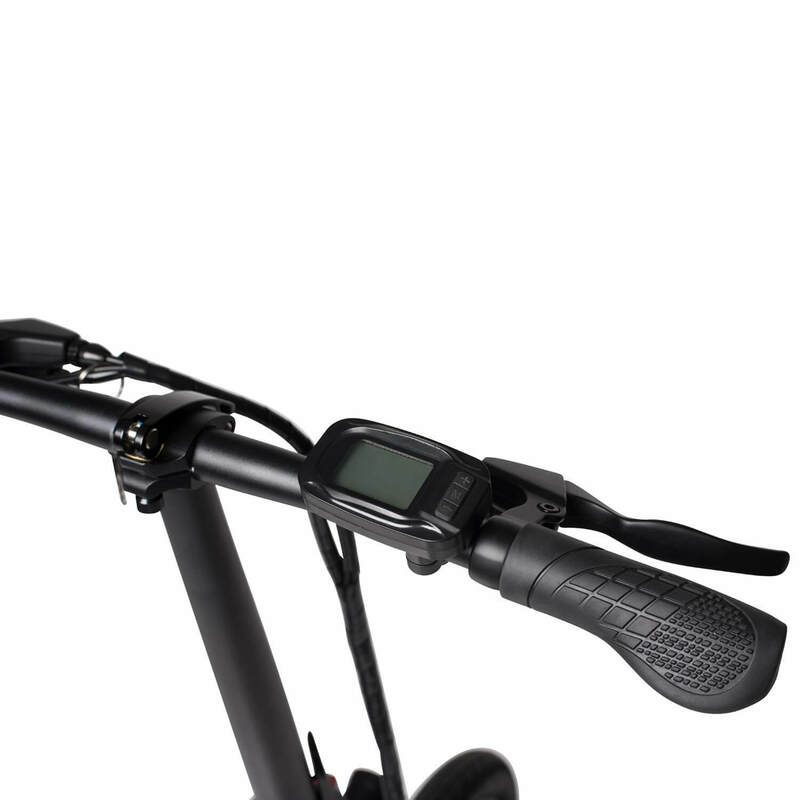 The frame is made up of 6061 aluminum, making it a little bit flexible to fold. 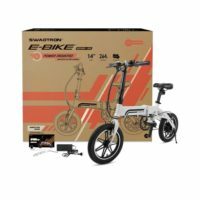 This folding electric bike is not easily portable due to the weight of around 60 pounds.The Samsung 48V lithium battery pack makes the bike go for a longer distance ranging from 30 to 55 miles on a single charge depending on the inclination and assistance level. 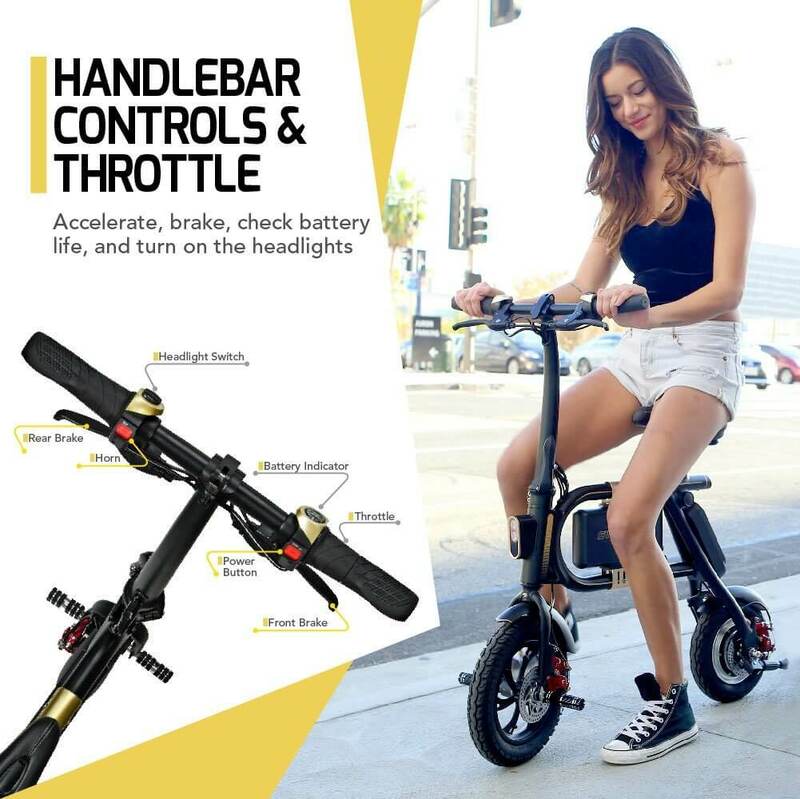 It can be used by riders with a height ranging from 5ft 2” to 6ft 6”. The seat is easily adjustable according to the height of riders. This e-bike offers a maximum speed of 23 mph and can take maximum weight of 300 lbs. It is a little pricey given its component quality. 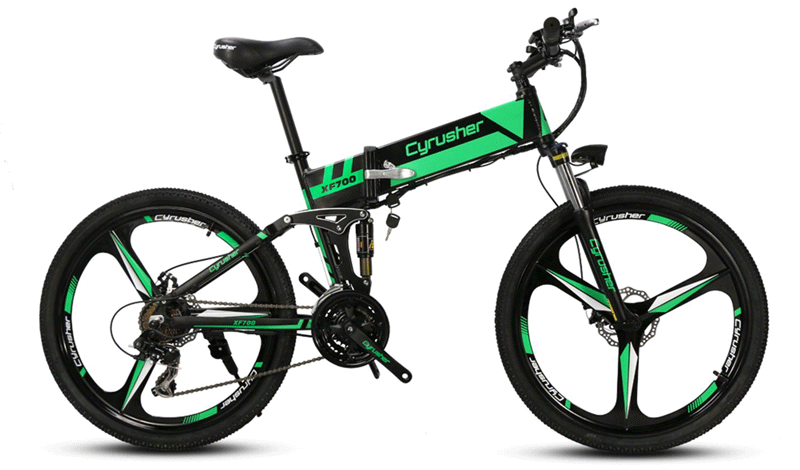 Cyrusher XF700 Folding E-bike is a perfect blend of class, style, performance and practicality. 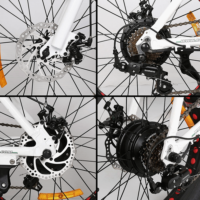 The bike supports a maximum weight up to 330 lbs. 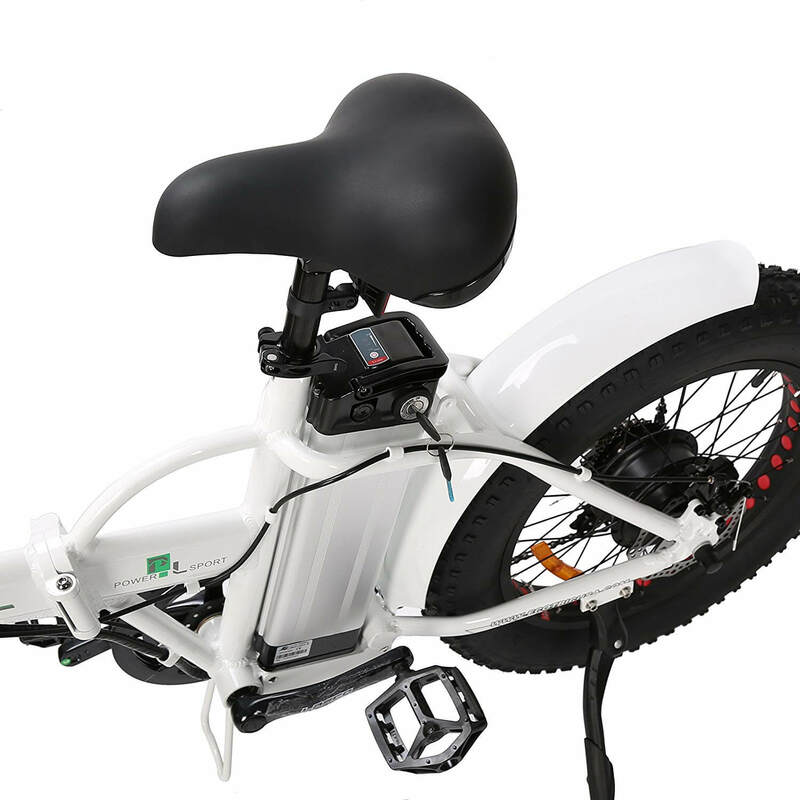 It is a high-performance e-bike for both road as well as off-road biking experience. 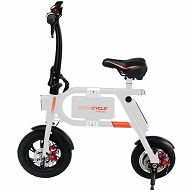 It is composed of aluminum-based centre folding frame, allowing for a compact size when it is stored or transported anywhere making it easily portable. You can fold and carry it in a car or bus and transport it to camping trips, parks, picnics, etc. The aluminum based frame is completely durable and helps the bike to be used for long distance commute on a regular basis. 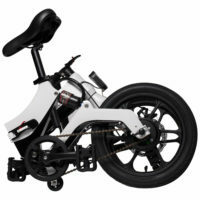 It covers a distance of up to 28 miles on full electric and up to 37 miles on pedal assistance. 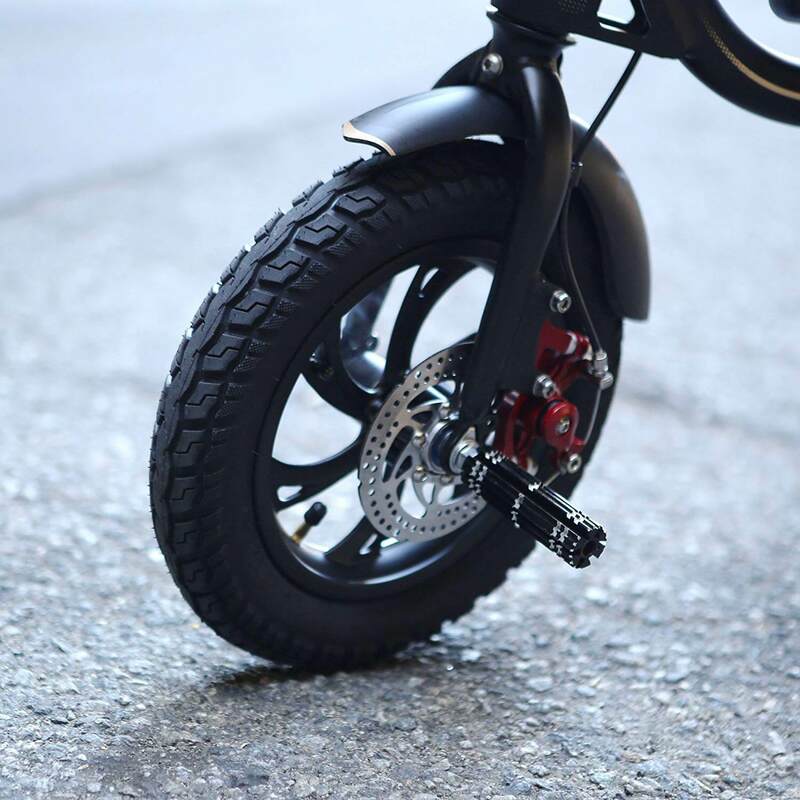 This bike’s seat is adjustable according to the height of the riders ranging from 5ft 5” to 6ft 3” tall. 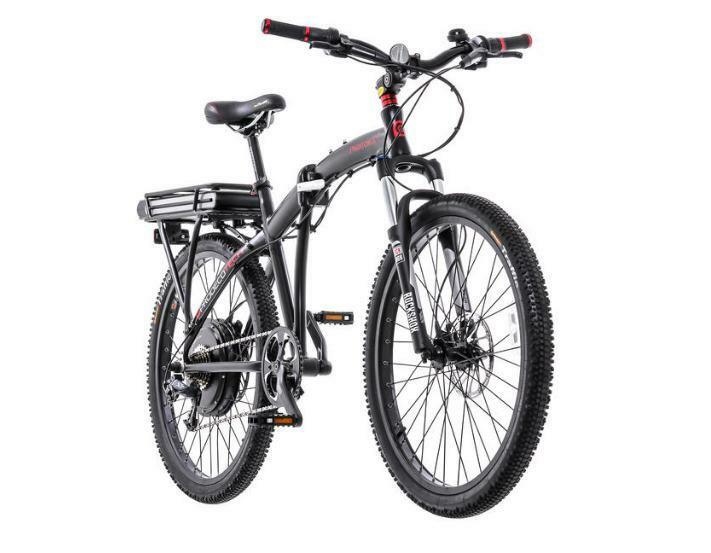 It is a great commuter bike offering a very comfortable ride. The braking is very slow due to heavyweight. The pedals turn out to be wobbly and unsteady. 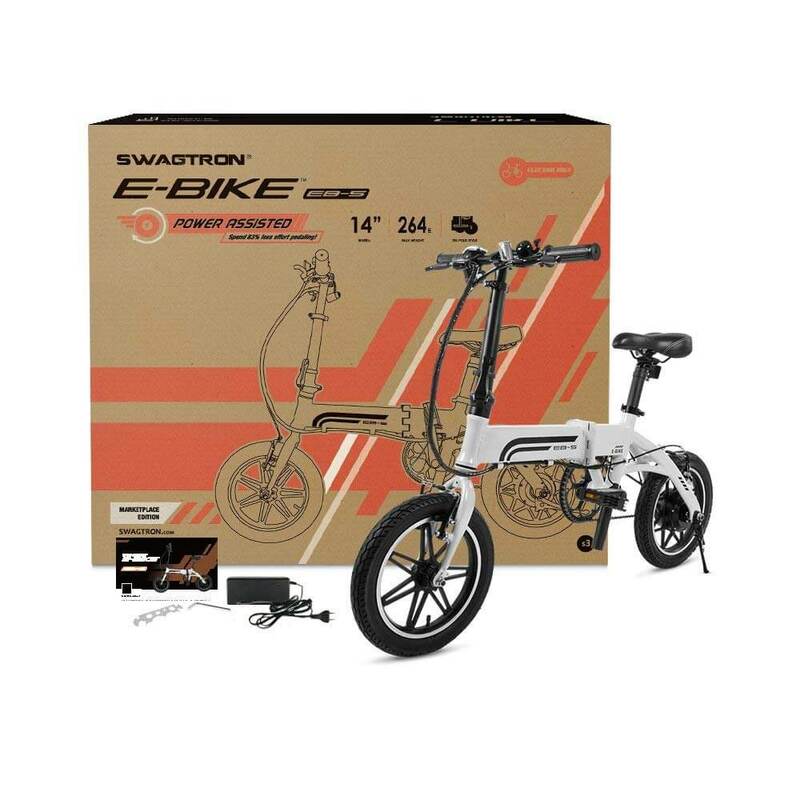 This folding e-bike comes with an amazing style and a rock-solid build is one of the most popular models. 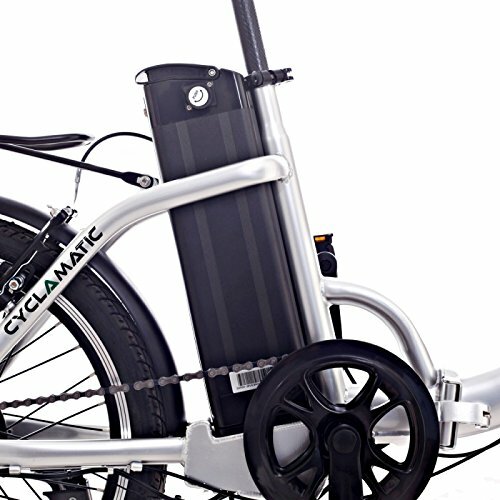 The aluminum folding frame is coated with corrosion resistant and scratch resistant paint giving it a beautiful finish and it is very comfortable to port anywhere and store in any small places. The folding action is very intuitive and it folds into a very small package. 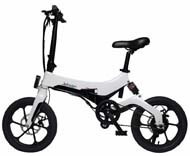 It is extremely easy to commute the bike anywhere. 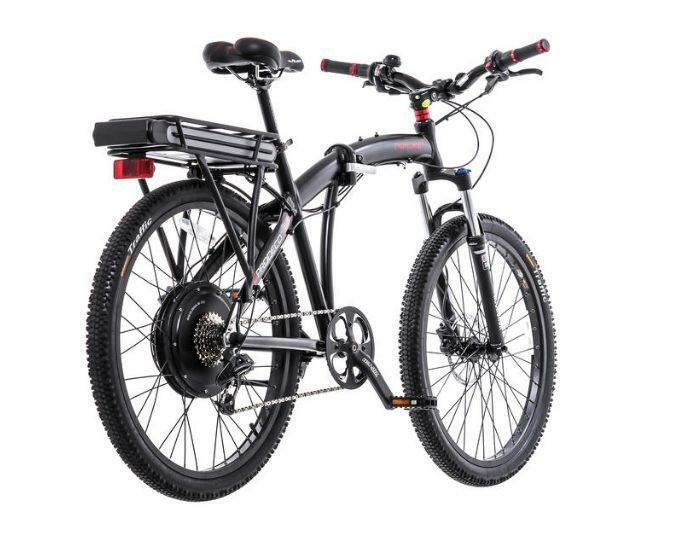 It boasts an amazing range up to 50 miles on a battery making it feasible to ride long distances. It is possible to adjust the seat according to the height. It also has a great quality for its price. 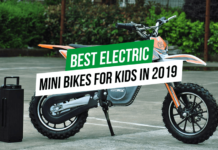 This bike is a great compromise between size and good ride. It supports a maximum weight up to 220lbs. 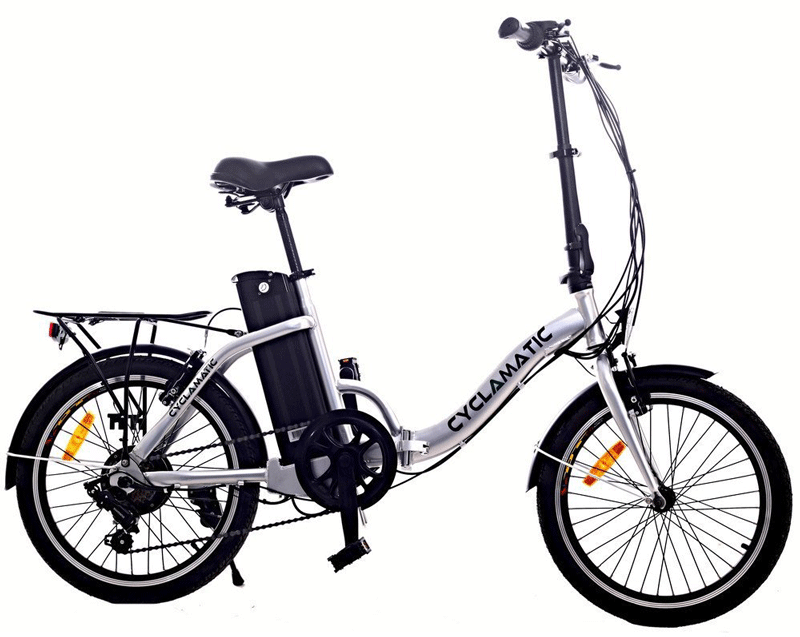 the aluminium frame of the bike combined with the lithium ion battery offers decent speeds but is slightly heavy. 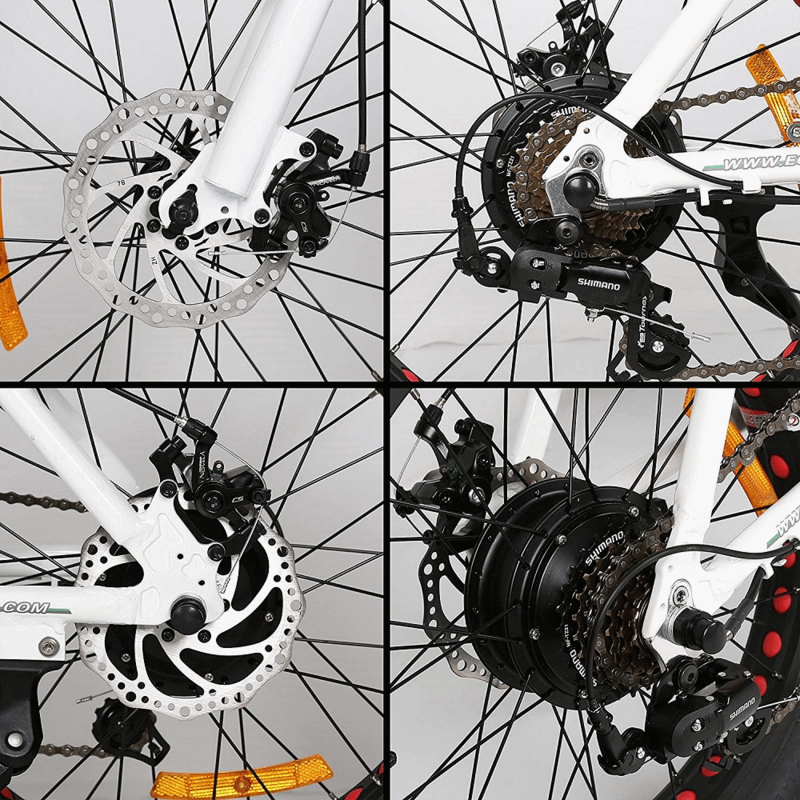 It is perfect for avid cyclers. 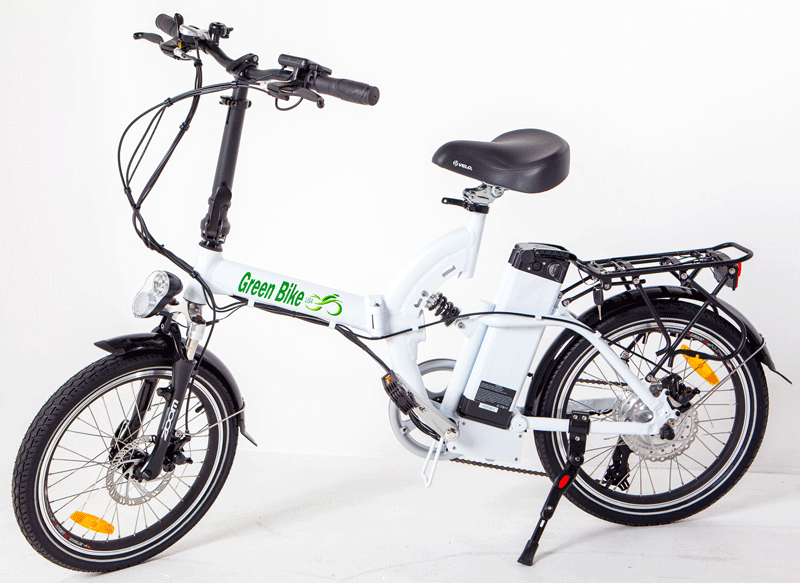 It’s a great commuter electric bike if you want to carry it on a bus or train or store it in trunk or any small space. 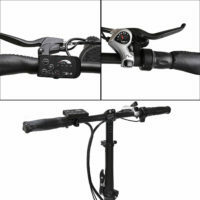 It can be used for around 15-20 miles distance making it best for short bike rides. However, the bike is pretty small and is appropriate for riders with around 5ft 2” height. It is not advisable for taller riders. It is a great deal at a much cheaper price and will offer value for money given its component quality.